Happy 4th of July! Turn your porch, deck or home into an Americana haven with this Independence Quilt, made from a sparkling collection of red, white & blue pieced blocks embellished with cotton & wool appliqués. 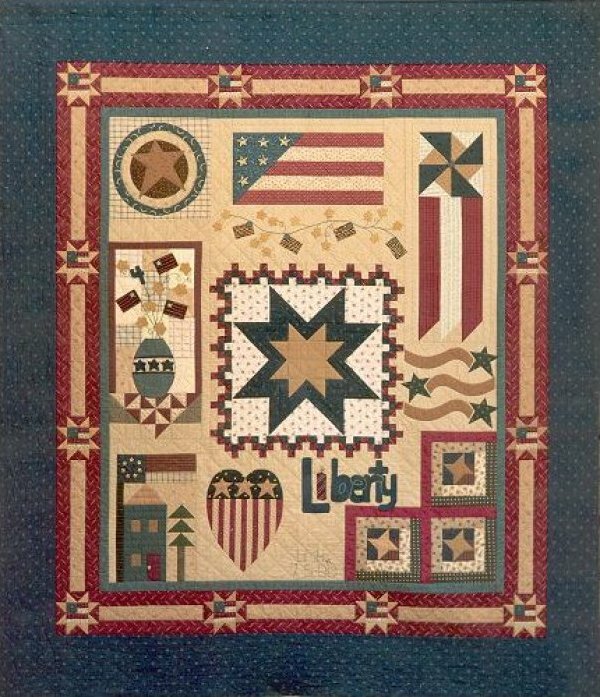 Each of the three books in this series contains instructions for several of the blocks featured in this patriotic quilt as well as additional projects using each block. Choose from wall hangings, table covers, pillows, lap quilts & more. Celebrate this summer with an Independence Quilt!